This energetic composition is the composers way of paying homage to some of his favourite compositions and composers such as John Cheetham, John Barnes Chance and the great Alfred Reed. 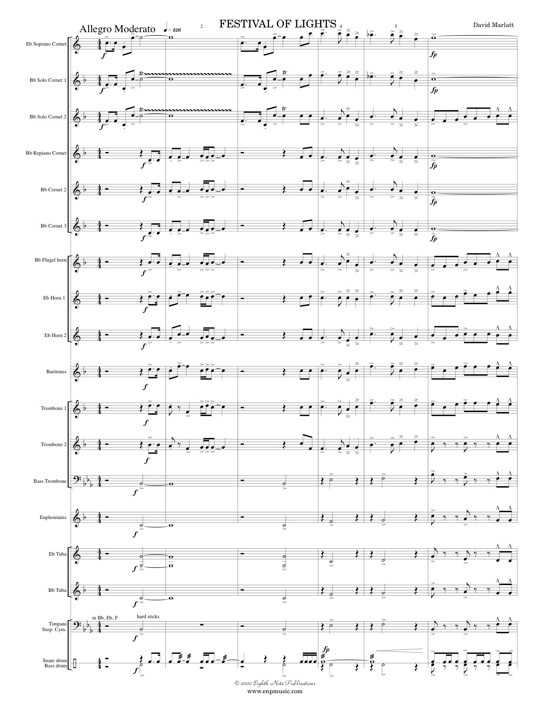 Short musical quotations and suggestive melodic or rhythmic passages are included in the framework of this piece. The majority of the material is original and the driving rhythms, soaring lyrical themes and jazz-like harmonies are all elements Mr. David Marlatt came to know and enjoy since he began playing in concert bands.